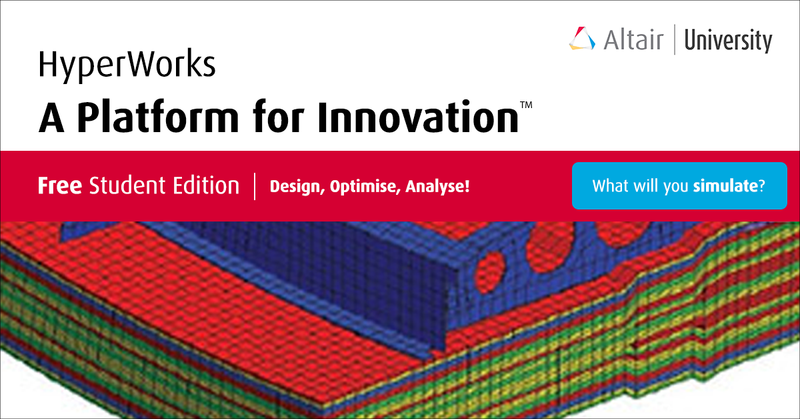 HyperWorks Student Edition enables students and teachers to explore CAE design tools on personal devices. Whether there is an upcoming engineering project or you simply want to experiment with smart tool capabilities, HyperWorks is the solution. Once in the interface, users can design products, optimise products and even analyse them! Click the link below to request your free 12 month trial today.